This weekend, people all over the world will be trying to raise awareness of Cardiovascular Disease (CVD), a disease that kills over 17 million people every year. Created by The World Heart Foundation, World Heart Day is a global campaign designed to promote good heart health by encouraging people to eat more healthily, to get more active, and to say no to smoking. The event is held every year on the last Sunday in September so in 2018 it falls on September 29. A shocking 31% of all deaths are from CVD so it is important to recognise the warning signs, the steps we can take to fight it and how we can help those around us who suffer from this disease. 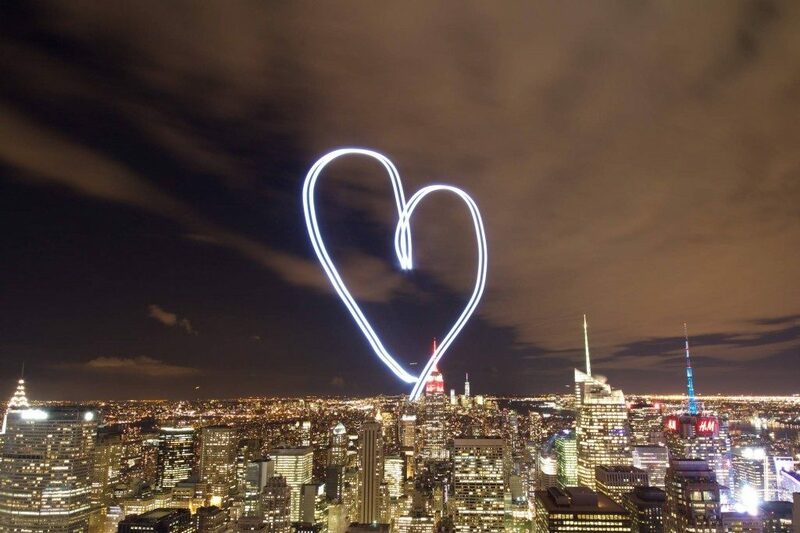 Today’s Pic of the Week is a photograph taken by Daniel Woosnam showing a heart above New York City. It was submitted to our Love Story competition back in 2014.